Pakistan is a Nuclear State; its Army is 6th largest in the world, which is highly professional, trained and disciplined; it is a country of 180 million people with Political, Administrative and Economic State Infrastructure intact; it has both industrial economy and agricultural economy; it has highly qualified Civil Service; it is blessed with hard-working and dedicated labour force; Its entrepreneurs are second to none in the world; it has got four clear weathers – a phenomenon rare in the world and in the last but not the least geographically it is located on the cross-road of Central Asia, Middle East and South Asia. These are some of the plus points of Pakistan. The shock absorbers of Pakistan’s economy lie in its agriculture sector. The industrial economy must be subservient to the agricultural requirement of Pakistan, thus, it can be divided into two sectors, namely the industry which should boost up agriculture and secondly the industry which should consume agricultural products. In next 50 years international focus will be on in this region, thus, no power can operate in this region without the backup logistic and intelligence support of Pakistan. Pakistan is a viable country and if we are blessed with honest, dedicated and dynamic leadership, Pakistan has the capacity to emerge as one of the most respectable democratic and developed States in the comity of Nations. It is the corrupt leadership of the country which has destabilized the country. 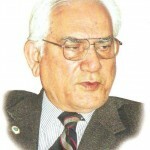 The way out is that immediately after the formation of Interim Government, Parliament must be dissolved and interim setup comprising of civilian technocrats and representatives of civil society with transparent and clean past supported by Armed forces and legitimized by the Supreme Court of Pakistan may be established under Article 48 of the constitution. The only constrain under Article 48 is that election is to be held within the time span of 90 days. But there is yet another Article within the constitution, namely Article 254 which says that if any constitutional act is not completed within the time span given in the constitution, in that eventuality the act by itself does not become unconstitutional and period can be extended by the Supreme Court of Pakistan. So, my own tentative assessment is that interim setup may continue for two/three years, on Bangladesh modal and next General National Election could be called sometime in 2015 after clearing the Augean Stables through transparent and stringent accountability of corrupt and dishonest politicians, with a view to sweep the filth and rubbish spread all around in political enclave. Once that is done, it will provide a level ground to middle-class intelligentsia, which is a backbone of democracy, since; it cannot compete with corrupt politicians loaded with ill-gotten money. Free and fair elections with independent Election Commission and presence of proactive Judiciary would ensure good governance in Pakistan, which will guarantee continuance and stability of democracy. Elections are only the procedural aspect of democracy, whereas, good governance, independence of Judiciary assurance of fundamental rights, economic justice and establishment of egalitarian democracy is the substantial aspect of democracy, which is not visible and tangible in Pakistan. The basis of Pakistan is neither Language Nationalism nor Cultural Nationalism or Geographic Nationalism. Had it been so, than neither Punjab nor Bengal would have been divided at the time of partition of the subcontinent, since, Barkat Ali, Barkat Ram and Barkat Singh spoke the same Punjabi language, shared the same Punjabi Culture and lived in same Geographical contiguity. Thus, the basis of Pakistan is neither Language Nationalism nor Cultural Nationalism or Geographical Nationalism, but on the contrary the basis of Pakistan is “Muslim Nationalism”. We, in Pakistan imported Language Nationalism and Cultural Nationalism from Soviet Russia, when our so-called leftist intellectuals and journalists visited defunct USSR in early 1950. Whereas, these concepts provided stability to Soviet Union, it had disastrous effects in the body politic of Pakistan. On the basis of these concepts Pakistan was truncated in 1971 and presently we are facing the threat of Sindhu-Desh and Baloch Nationalism. The way out to diffuse these venomous concept is that in Pakistan provinces established on language and cultural basis must be dismantled and instead 14 provinces to be established on the administrative basis with a concept to provide justice to the people at their doors. The following could be the administrative division of Pakistan; the province of Sindh to be divided into three administrative provinces Karachi, Hydarabad and Sukkar; province of Baluchistan to be divided into three administrative provinces namely Kalat, Quetta and Sibbi; the province of Khyber Pukhtunkhawa (KPK) to be further divided into three administrative provinces namely Peshawar, Dera Ismial Khan and Hazara and lastly, the province of Punjab to be divided into five administrative provinces namely Bahawalpur, Multan, Lahore, Sargodha and Rawalpindi. This will strengthen and consolidate Pakistan and the poisonous effect of Language Nationalism and Cultural Nationalism would be cured. Pakistan certainly is not a Failed or Rogue State, as many ill-wishers/enemies of Pakistan conceive and talk about. On the contrary, Pakistan is by all standards is a viable State. Pakistan today is a victim of 4th Generation War and Terrorism, there is an undeclared war unleashed against Pakistan. Amidst this National Crises Pakistan Armed Forces and Intelligence Agencies provide necessary assurance and umbrella to safeguard the solidarity, unity and integrity of the country and the Nation. Any effort to create a wedge between the Armed Forces and the Nation would be suicidal to its security and defence requirements, hence, Parliament, Judiciary, Political Parties, Civil Society and Media should meticulously refrain from criticizing the Armed Forces and Inter Services Intelligence (ISI). Aristotle once said, “If you want to destroy any country/nation, create distrust between its Armed Forced and people and rest will follow”. Pakistan’s nuclear capability ensures the minimum deterrence and give guarantee for peace and harmony in the region. Since, it is a steroid (Life Saving Drug) and not Aspro; which has to be taken thrice a day. If and when our belligerent neighbor will try to get hold our jugular vein, to release that hand of aggression, Pakistan will be left with no option but to use nuclear capability as a lifesaving drug, thus, it has to be used once in a lifetime of a Nation whenever, its National independence is threatened. An alliance of Pakistan, Iran and Afghanistan (PIA) is the surest guarantee of stability, peace, progress and prosperity in the region. The ultimate destination of Pakistan is, “Strong, Debt-Free and Insurmountable”; Politically Strong, Economically Debt-Free and Militarily Insurmountable Pakistan, so, that it becomes “Fortress of Islam and Shield for Indian Muslims”. That is precisely is the Future Vision of Pakistan. Sahibzada Ahmed Raza Khan Qasuri is Senior Vice President of All Pakistan Muslim League (APML).